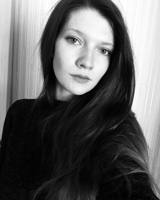 Ellie_space - 22 - Russian Federation - English, baby! Hello! My name is Liza and I'm started to learn English.I will be glad my new friends. My Hobbies: I like run and to go for a walk with my dog. Things I Dislike: I don't like wash up the dishes. Favorite Music: Kaleo, Welshly Arms,Ed Sheeran,Lifehouse, Metallica, AC/DC.